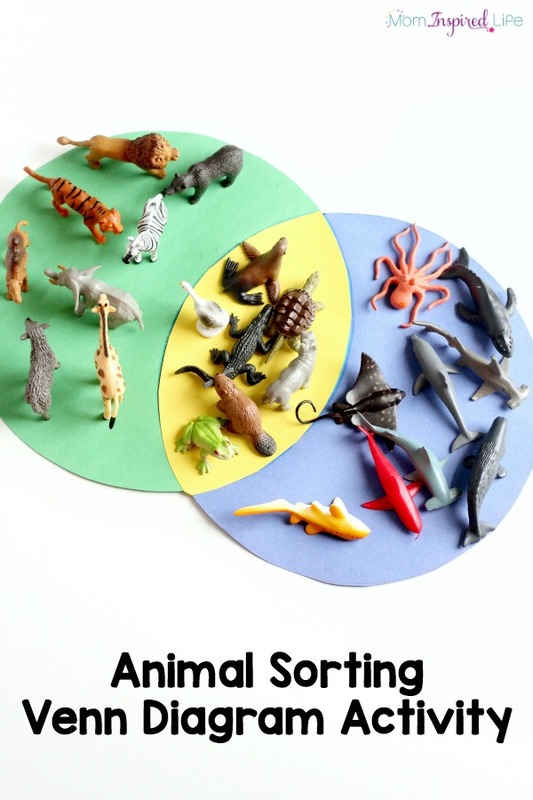 This sorting animals Venn diagram activity is a hands-on way to learn about animals habitats while developing math skills! 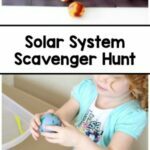 It can be used with toddlers, preschoolers and older children. 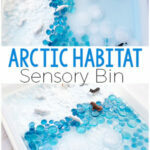 Do you have lots of little animal toys lying around? My kids really enjoy playing with them. Over the years, I’ve collected quite a few packs of them. 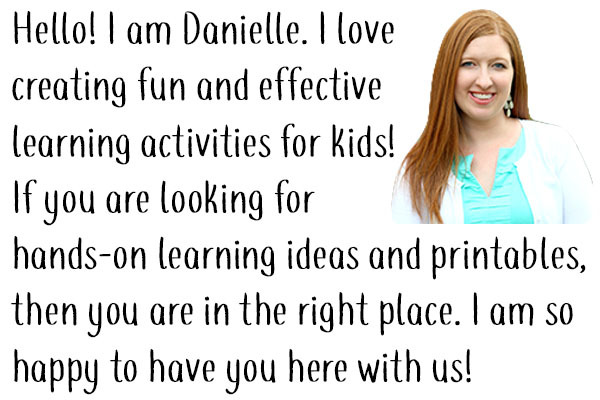 They are perfect for all kind of learning activities! 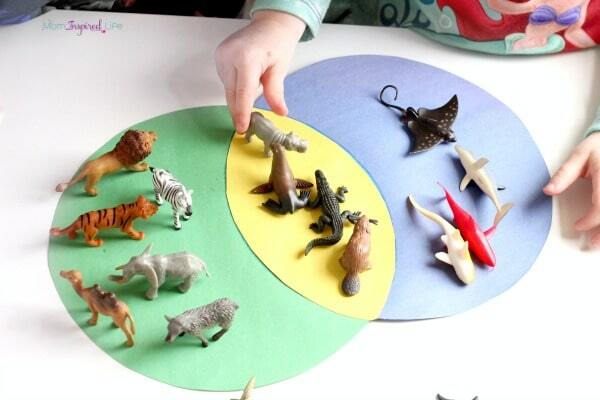 You can even use them to teach kids about animals habitats, sorting and using Venn diagrams. Trace a large circular object on the green and blue sheets of paper. I used a large pot. Tape them so that they overlap. Place the yellow sheet over top of the middle of the two sheets. 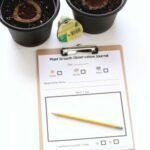 Then place the pot back over each circle and trace the inside curve of each on the yellow paper. Cut out the inner portion of the Venn diagram from the yellow paper. Glue it to the center. 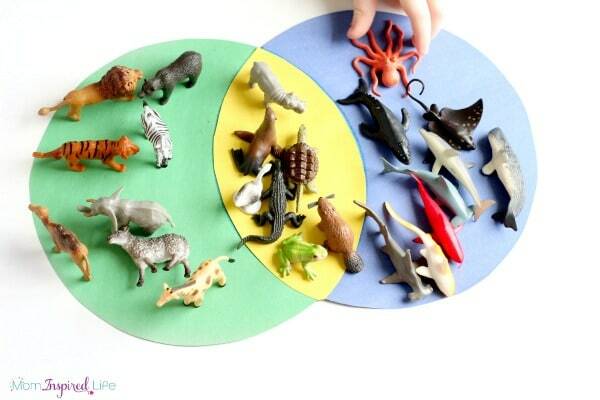 Lay the animal toys next to the Venn diagram. I explained that the blue paper represented water and the green one represented land. Before I could even say anything else, my son asked me what the yellow part was for. I explained that it was for animals that spend a lot of time on land and in water. Both of my kids (two and four years old) started sorting. To my surprise, my two-year old did very well sorting the animals to land and water. She didn’t much help from me at all. My son started by finding all of the animals that live on land and in the water. 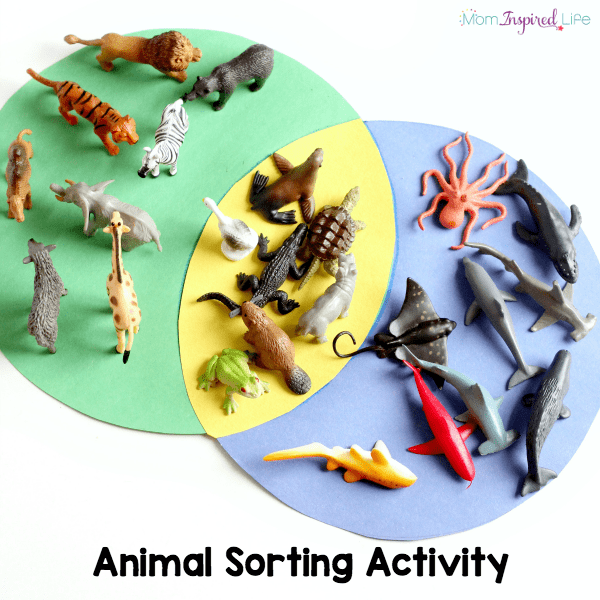 He also surprised me with his ability to sort the animals on the Venn diagram. 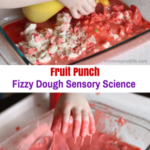 They both had a great time with this activity. 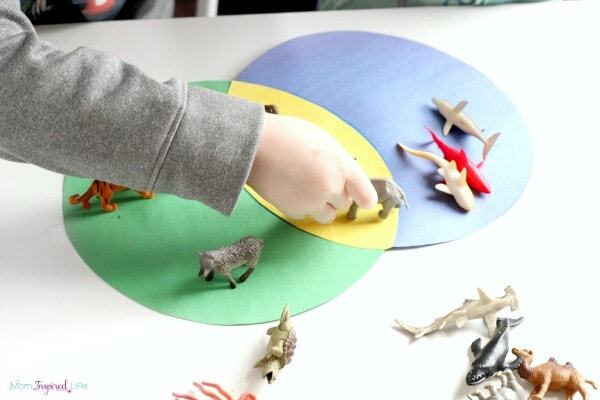 They continued to play with the animals for a while and even used the Venn diagram as a play mat of sorts. 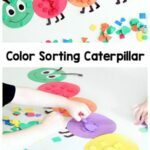 Here are some more sorting activities for kids I think you will enjoy! 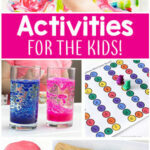 Check out these hands-on activities with small toy manipulatives!